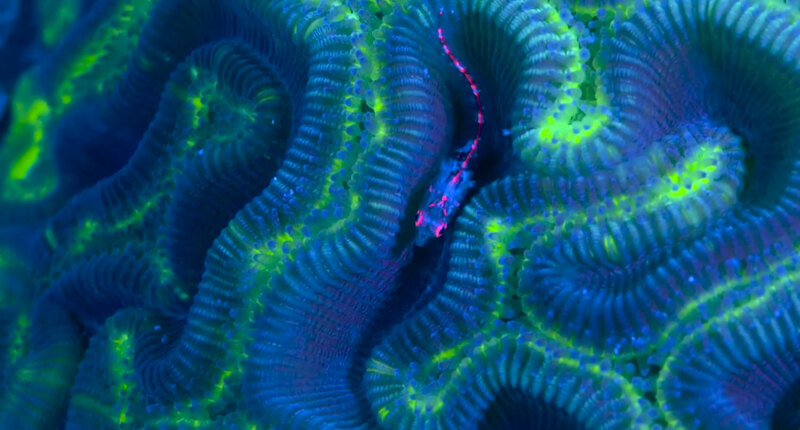 ﻿ VIDEO: Reef Patrol's "WEATHER – a Coral Nightmare"
“WEATHER – a Coral Nightmare” is a very special project to us at Reef Patrol. As this year will be one of the hardest years for coral reefs around the globe (due to climate change, global warming, and all the other environmental issues), we want to capture it in all its beauty before it is too late. Of course, we hope to do our best to preserve this magnificent ecosystem, so we are teaming up with different organisations, such as http://www.secore.org and http://www.waittinstitute.org, and helping them out with creative media content (film, animation, etc…). In 2014, we fell in love with “fluo-diving” on Koh Tao in Thailand, and ever since then it has been like a drug to us. As soon as the sun sets we, just want to get in the water with blue lights and watch that magnificent fluorescent world. In January 2016 on Curaçao (we now call it #Fluraçao), we lit up #SnakeBay as if a police car got sunken in it, thanks to the two fantastic #Keldan Lights with the Blue Modules. Special thanks to http://www.Keldanlights.com for handing us these fabulous lights for this trip; I have never seen such bright blue lights before. We shot the film on several night dives in Curaçao/Snake Bay with two Keldan Video 8M FLUX and two Blue Modules and the Panasonic GH4. Everything was filmed in 4K and downscaled to HD for creative/editing reasons. 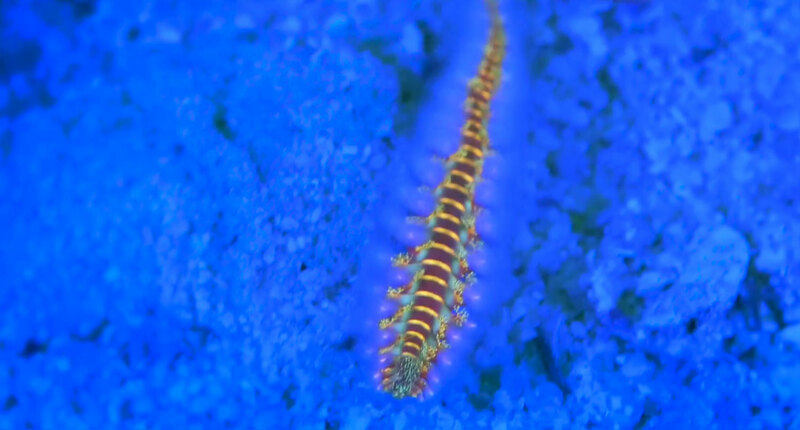 We used a macro 45mm (no diopter) and a 12-35mm lens with yellow filters (to filter the blue light from the image) and bring the real coral/animal fluorescence to life. The difficulty was the reef nightlife – plankton! It was insane on every dive! So, in between the shots, we had to turn down or switch off the lights, and it was still everywhere. But once on a “fluo/UV dive,” you can’t stop until your air runs out. Fluorescent Fish! See more in WEATHER. 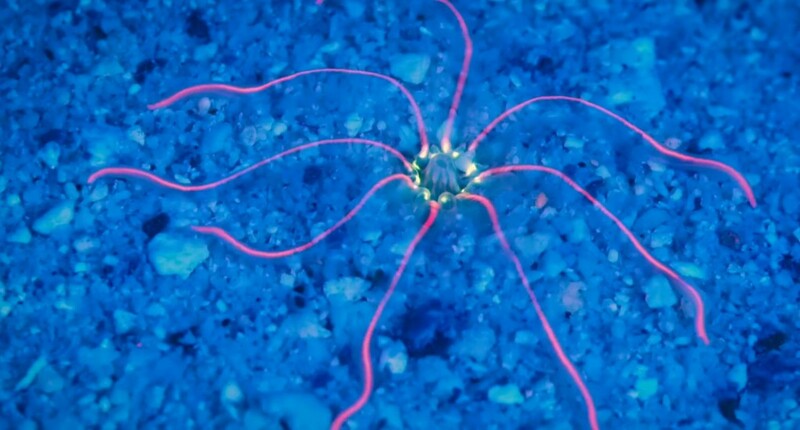 Fluorescing polycheate worms? The newest gotta-have invert for your zoanthid garden? In January, the coral reefs of Curaçao didn’t look like they were suffering too much from climate change (YET!) and we hope they will survive this “storm” and remain beautiful until we visit them again. 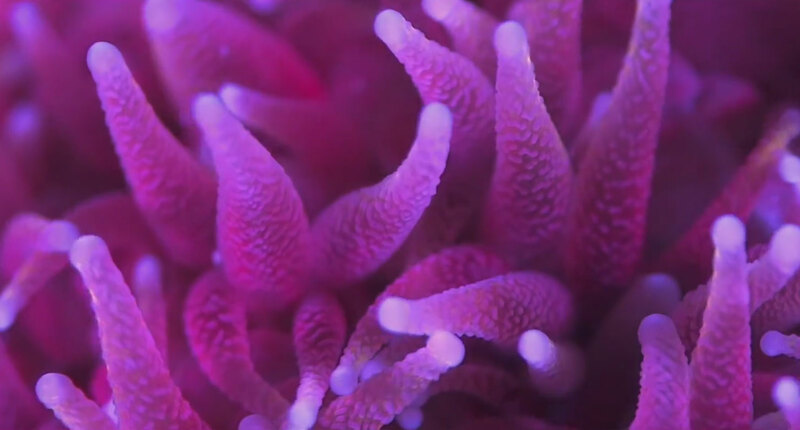 Disclaimer: There is no obvious “Niightmare,” just a lovely sequence of shots of corals and coral polyps. The implied nightmare is what we will lose if climate changes continue to impact the reefs of the world. A very special thanks goes to http://www.ThinkFishTank.com for letting us use this epic music track, and of course to http://www.sun-reef.com–we will never forget the Flintstone Villa! And a warm thanks for making us feel at home to Evita and Chief from http://www.OceanSunsetApartments.com. And, of course, merci to my best buddy and partner in the world, Lena.